ServerPilot & RunCloud are tools which let you manage your server without dealing with (almost)any command line interface. ServerPilot & RunCloud mainly focus on PHP applications. These providers help you have a faster hosting without paying high fees. This post will help users choose between the two providers. In their true essence, both the solutions offer managed cloud hosting on cloud servers that are complex to manage by any average joe. This guide aims to make the whole process of setup of cloud servers easier for the user. We will therefore focus on performance benchmarking, load testing and head-to-head comparison of both ServerPilot and RunCloud. In the end, you will be able to make an aware decision about which hosting service will best serve your needs. So without further ado, let’s get started. We’ll be focusing on WordPress in this article. There are many speed optimization services as well as speed optimization techniques to improve your website speed; hosting is a crucial factor too. In this post, we will set up two $2.5 VPS from Vultr, with the same configuration, same setup. The only difference will be one installation will be done via RunCloud, compared to the other done via ServerPilot. 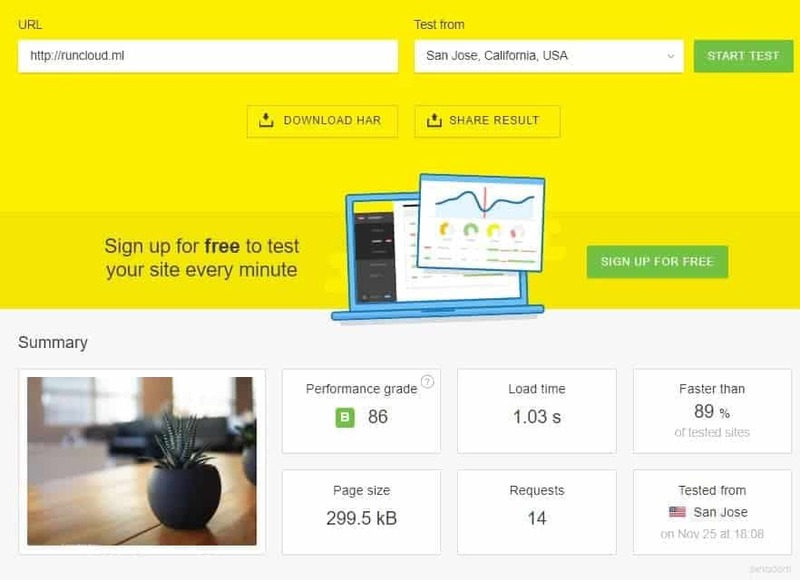 We will be using website performance analysis tools like WebPagetest.org, GTMterix & Pingdom to compare the two. For our tests, we will use Avada theme, which is one of the most sold WordPress theme, which is considered to be bloated(no offense). We will then import a demo, and then compare the results of the two setups. You can register on Vultr from here. Once you have signed up, setting up a server is pretty straightforward. 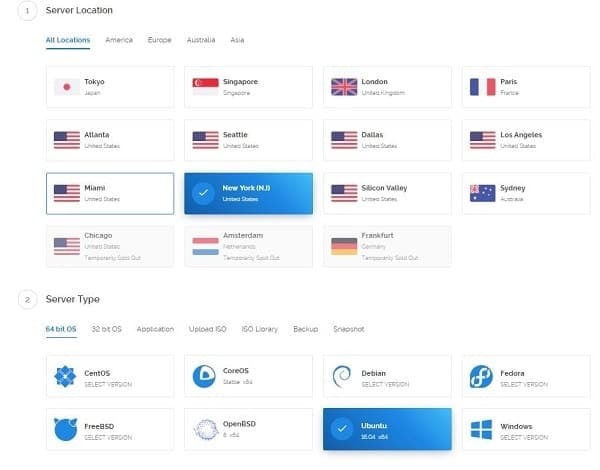 Go to https://my.vultr.com/deploy/, and select the desired locations. In this case, we will choose the server location as New York. Next, we pick the server OS as Ubuntu 16.04 x64 as both ServerPilot & RunCloud requires the same. Next, we select the server size. Once we have launched our instance, we need to install WordPress on ServerPilot & RunCloud. Before installing Avada demo, I would like to show you the performance results of default WordPress installation. As it can be noted, RunCloud outperforms ServerPilot in all the tests. Even though, ServerPilot is in the industry since 2012 compared to RunCloud which in 2017. Note: There is no clear winner in the GTmetrix load test since in the very next test, ServerPilot performed better. This kind of fluctuations happened in more than five tests. So nothing to conclude here. 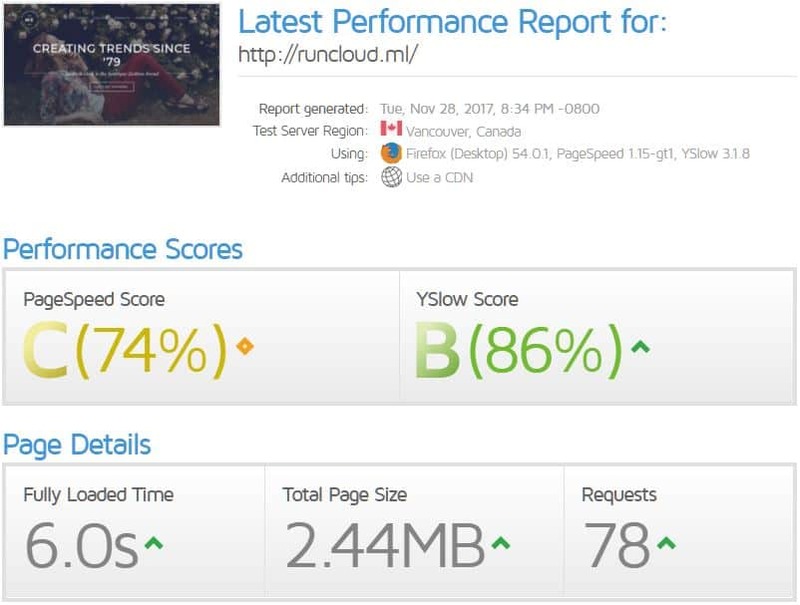 Unlike GTmetrix, Pingdom results showed RunCloud performing better than ServerPilot. 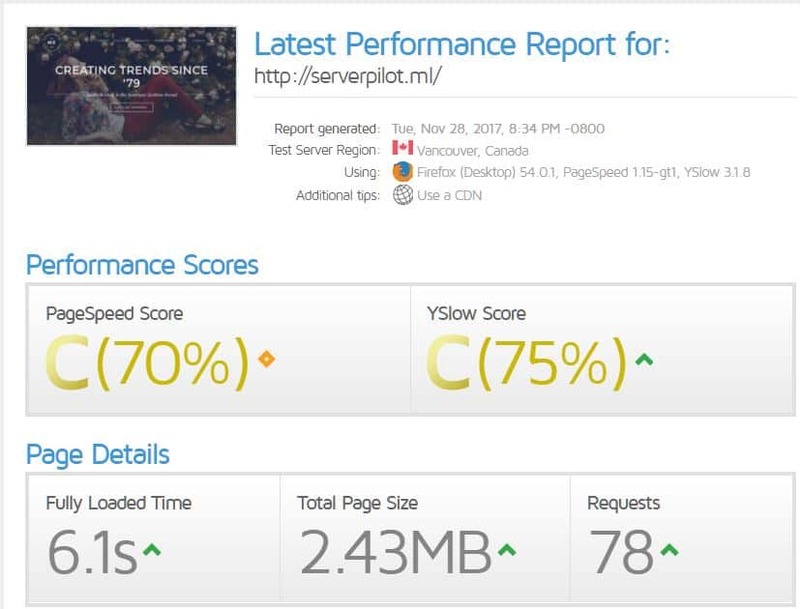 RunCloud takes 1.58 s to load the Avada demo compared to ServerPilot which takes 1.71 s. The difference is not much, but website speed is essential & there is no reason to ignore milliseconds. To avoid any discrepancies, I did a retest & in the retest, too, RunCloud took lesser time to load the website. As clearly, seen from the tests, RunCloud outperforms ServerPilot in almost any test. Also, a similar comparison performed by SitePoint proves the same. Along with performance benefits, you also get better pricing options of $10+$1 for each app a server for ServerPilot vs. $15 unlimited servers from RunCloud Both of these are almost similar in pricing. Let‘s see the price comparison between these providers and find out which is better if we consider the pricing only as a benchmark. In the past, ServerPilot allowed its users to have a free account with limited features.but now they have updated their pricing plan and they have three pricing packages including as Economy, Business, and First Class. Let’s see about these packages and their pricing. Economy: It allows you to use any PHP websites such as WordPress and Laravel. The price starting of this package is $5 per server $0.50 per app. So it will cost you $5.50 per month. Moreover, you can also use additional features like Free SSL certificates, Server security updates, HTTP/2 support, API access, Multiple PHP versions, Database management, One-click WordPress installer, and many more. Business: Along with all features of the Economy plan, business plan offers even more features to enhance usability. A fea servers to reduce app usage include .server and app resource usage statistics, a log viewer, and priority support. The pricing start of the business plan is $10/server + $1/app. First Class: Including with all features of the Business plan and economy plan of course, this plan offers you app request and performance statistics, slow script warnings, and high priority support. The pricing start of the business plan is $20/server + $2/app. Now I am going to tell you about run cloud pricing. On RunCloud they provide different packages such as Free, Basic, Pro, and Business. They all have a different features. Let see below one by one. You can choose multiple PHP applications weather it is WordPress, Laravel, Magento, etc. With the evidence in front of you, now you can easily make a better decision about what type of business will you be discussing. There’s no reason I can see for one to choose ServerPilot over RunCloud. It is also worth mentioning that both providers offer free plans which are worth considering. By this point I feel you would think I am being biased, I understand. But I will make you the judge this time. It’s their dashboard in 2017, and I have not made any edits to the image. Don’t trust me? Check your self! RunCloud’s user dashboard seems simple, user-friendly & has some icons which will make it easier to find useful tools. I had issues creating an SFTP user, but the live chat person assisted me. One thing I would suggest them is to make some options clear like adding an SFTP user, making SSH login optional for SFTP users, etc. I still can’t find any reason one would consider ServerPilot. Believe me, things like standalone NGINX support for WordPress weren’t even compared in this article. RunCloud offers this right from the beginning. I don’t say it’s not possible to achieve this on ServerPilot, but again, it’s complicated to do so. 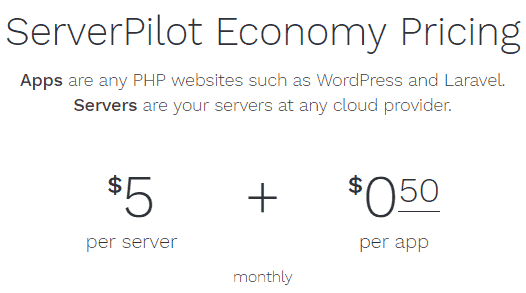 It’s not like ServerPilot is the cheaper alternative here. RunCloud is much cheaper compared to ServerPilot(unlimited server pricing vs. per server pricing). Still, RunCloud excels in most of our tests. One thing I realized while setting up the server was, ServerPilot gets deployed faster, but again, that’s a one time benefit. Ultimately it’s the website speed which matters the most. Have I missed something? What do you think? Let me know your thoughts in the comments! Thanks for the time spent testing! I think the test is very subjective though. I use both systems and I will pick runcloud over serverpilot if I have to pick one but your test (from all I can see) was done with Nginx on RunCloud. For an unbiased approach to the test, I’ll suggest you run ServerPilot with Nginx and test server load (run a test with loader.io), not page speed. Out of the box, the free serverpilot setup is still a lot better than runcloud for wordpress. For example, wordpress email notification works without any third party plugin. You can’t say the same for runclound. It seems like I should have mentioned about the server stack used. To clear any doubts, I have used the same stack(Apache+NGINX) on both RunCloud & ServerPilot to keep the comparison fare. If I had used standalone NGINX on RunCloud for comparison, the results wouldn’t have been fair. I agree RunCloud doesn’t support mail out of the box. But I assume that will be implemented soon since it’s growing pretty fast. Thanks for the great comparison. Very interesting read, thanks. Have you tried comparing other panels like cpanel, cloudron and plesk? Good to hear that you found it interesting. No. I did not compare cPanel & Plesk. cPanel & Plesk are panels for web hosts and not actually control the servers on their own. The performance depends a lot on how the web host configures these panels. It is not the same for ServerPilot & RunCloud. These panels are for servers with root access. These panels totally control the set up unlike cPanel, Plesk etc. Comparing Plesk/cPanel with RunCloud/ServerPilot won’t really be a fair comparison. Regarding Cloudron I don’t really know about that.